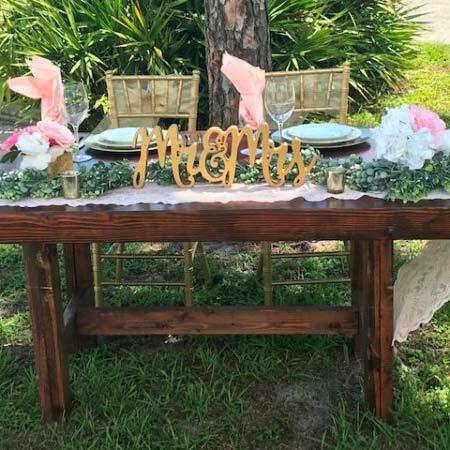 Our gorgeous mahogany sweetheart farm table is a perfect place to enjoy your first meal as a married couple. 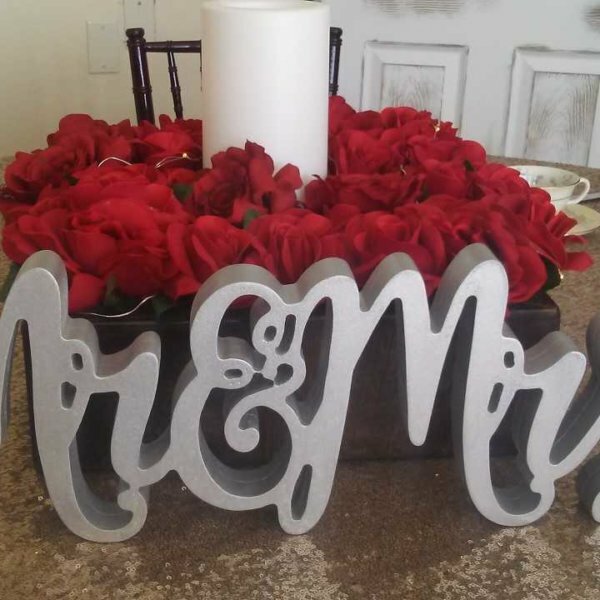 This custom made table is 3′ x 5′ and 30″ high. It matches our farm tables and mahogany benches perfectly!